This month is a pretty good time to buy a new car, according to Kelley Blue Book (KBB). The automotive data company says dealers and manufacturers still have too many 2017 and 2018 models on hand and are willing to deal. Incentives for the rest of September include more than $3,500 cash back on purchases and leases for less than $200 a month. KBB has highlighted 10 offers it believes are especially attractive. "At the top of this month's list is a sporty compact sedan, the 2017 Ford Focus," said Allyson Harwood, associate editor at KBB. "Strongly influenced by Ford of Europe, Focus offers the kind of driving dynamics American drivers have long envied, and it's currently available at a price that makes it even more appealing. 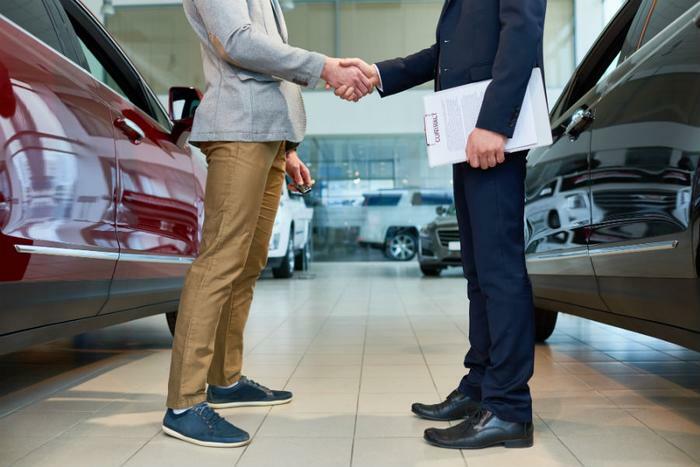 However, deals can be had on many popular 2018 models, and even one new 2019 model-year vehicle." KBB also highlights a lease deal on the 2018 Acura ILX. The lease payment on a 36-month lease is just $199, with $2,499 due at signing. The 2018 Jeep Compass is third on the list. It lists for more than $25,000 but KBB says it's going for less than $24,000. To sweeten the deal, it comes with up to $3,700 cash back. The Kia Optima comes in fourth this month, selling for around $22,000 and giving buyers up to $3,500 cash back. The 2018 Ford Escape is right behind, going for around $25,000 while giving buyers up to $4,000 cash. Toyota is leasing the RAV4 for $229 a month for 36 months. The deal requires a down payment of $1,999. The 2018 Chevrolet E quinox and 2019 Hyundai Voloster both have lease payments under $200. This month you can lease the Equinox for $189 a month for 36 months, but it requires a hefty $4,059 down payment. The Voloster goes for $199 a month with $2,299 down. Number nine on the hottest deals list is the 2018 Nissan Rogue, selling for under $25,000 and offering qualified buyers zero percent financing plus $500 cash back. Rounding out the list is the 2018 Cadillac ATS. A 27-month lease costs $299 a month with $1,839 down.